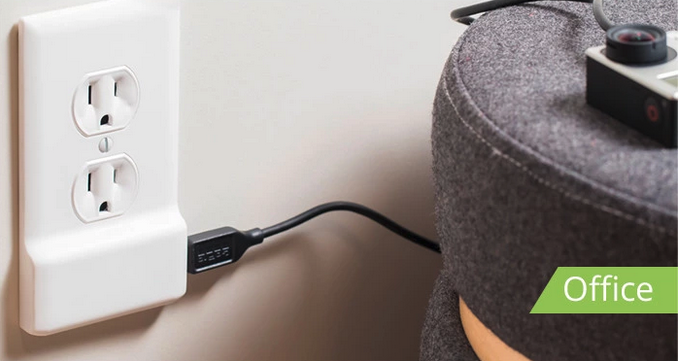 Kickstarter is a great place to find innovative products like this SnapPower Charger, a replacement outlet cover with a USB charging port. No wiring required, just take off the old outlet and screw the new one on. I just snapped up a pair of outlets for $33 ($15 each plus $3 shipping). The project closes in 41 days and all the really cheap deals are taken (bummer), but the two-fer-$33 is currently still available.